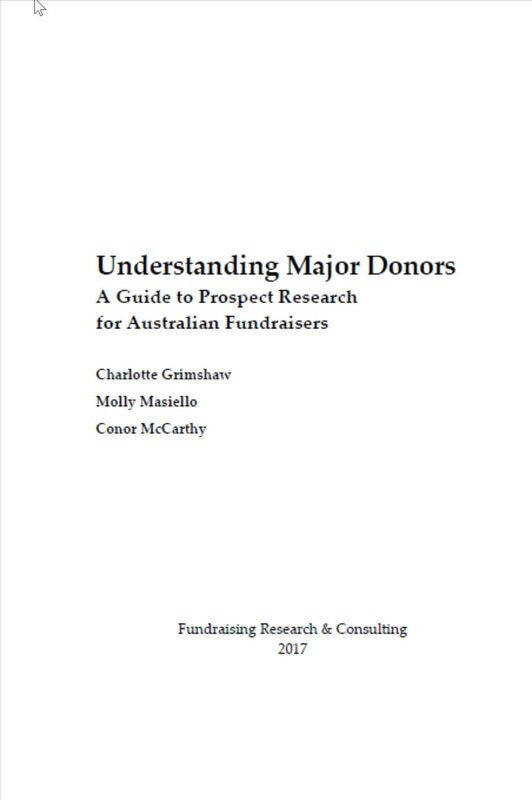 Understanding major donors through prospect research is essential to success in consistently raising major philanthropic gifts. 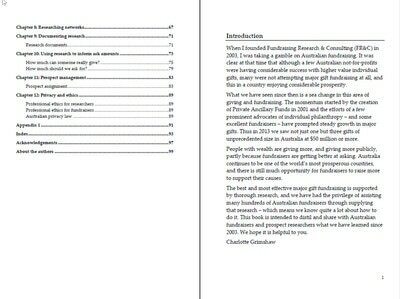 This guide by three of Australia’s most experienced specialists offers a wealth of practical advice on effective prospect research. 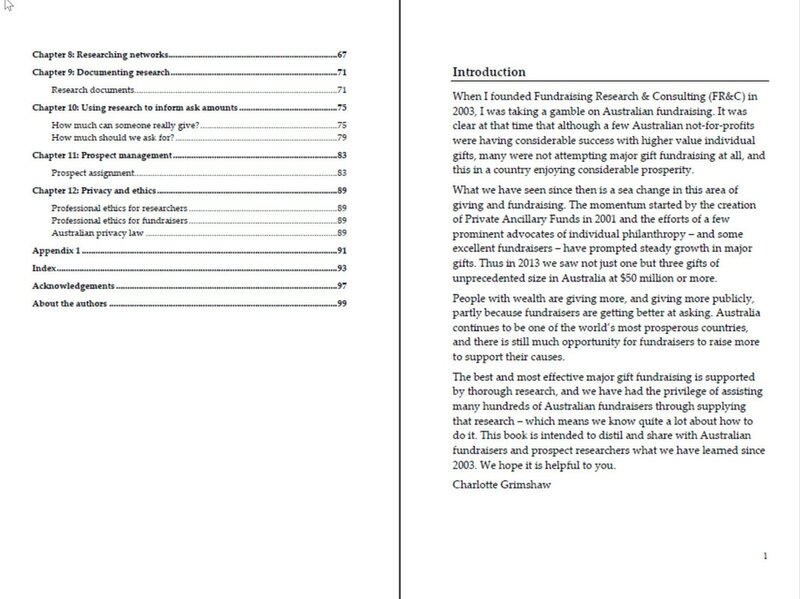 It contains an overview of best practice, a comprehensive guide to Australian research resources, with all of the relevant web links, and advice on the role of research in major gift fundraising. 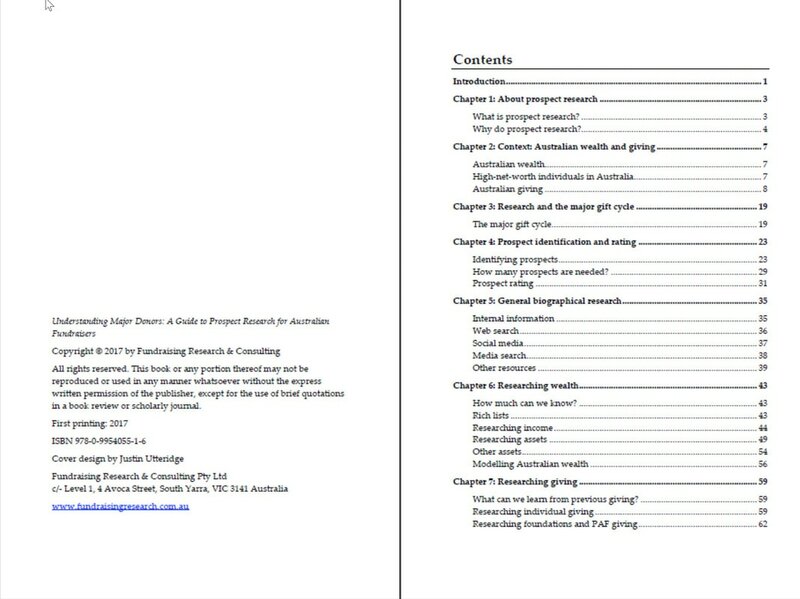 Available in a couple of formats: you can order a digital copy for ibooks and other ereaders (not kindle) on our website store link below, or go to lulu.com for the print version. "This book is fantastic! Such a good reference guide for both experienced and newcomer major gift fundraisers in Australia." 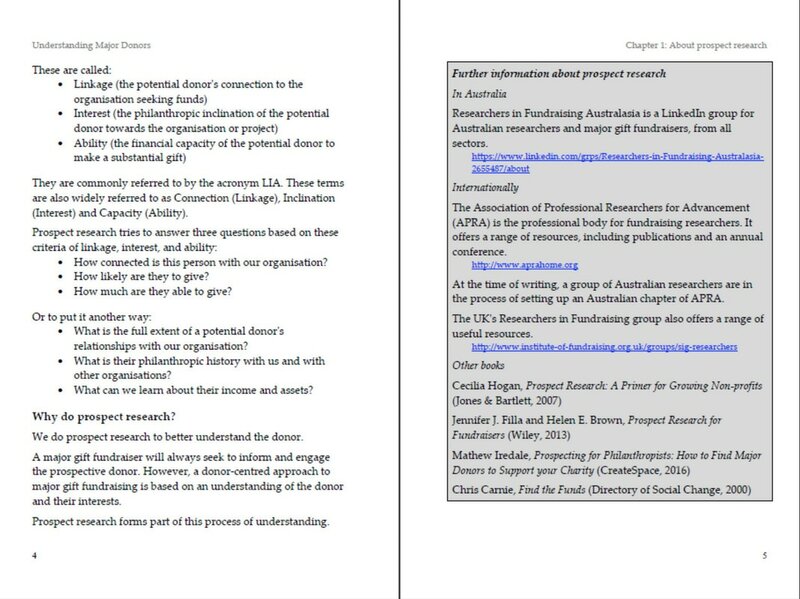 "What a wonderful first for Australian prospect researchers and fundraisers." 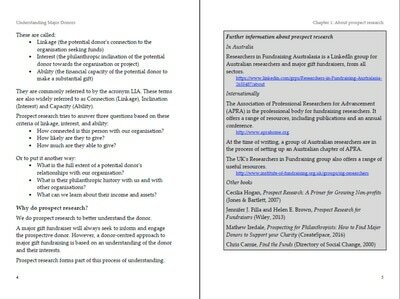 This book contains a lot of URLs for links to research resources and sources we have quoted: if you'd like a version you can access on your computer you can get a free epub reader for your pc (just web search it - but it works well in Adobe Digital Editions) and buy the epub file in our store below. 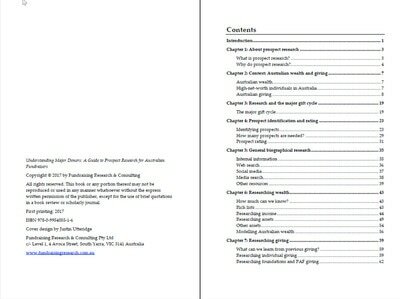 The ebook is designed for one reader; if you want a library copy, we suggest you buy the print version!